Flea circuses fascinate me. They originated in the 16th Century and continue today. It seems a scam, but fleas can be taught to perform. Professor Oddnaught with The National Geographic Society posted a YouTube video providing information on fleas and their astounding strength. Fleas are conditioned to fulfill different roles in the circus.. Pulling fleas are trained to pull 100x their body weight. Kicking fleas propel objects through the air. Jumping fleas leap up to 80x their height. Jumping fleas are trained by putting them in a cardboard box with a top on it. The fleas will jump up and hit the top of the cardboard box again and again. Then a change occurs. The fleas continue to jump, but they no longer jump high enough to hit the box top. Apparently, they learn the limit of the box and calibrate their jump accordingly. When the box lid is removed the fleas continue to jump, but no higher than where the lid used to be. Many times, we condition ourselves by the limits we feel. We restrict ourselves and never stretch new heights. 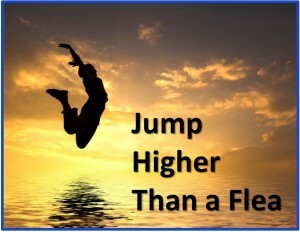 Just like the fleas, we fail to jump higher, thinking our current strength is our outer limit. The easiest people to teach to juggle are Twelve-year-old athletes. They have a dexterity that gives them a small advantage and they know they will need to practice. Their biggest advantage is that they are fearless in failure. Young athletes willingly undergo small failures to achieve a higher goal. 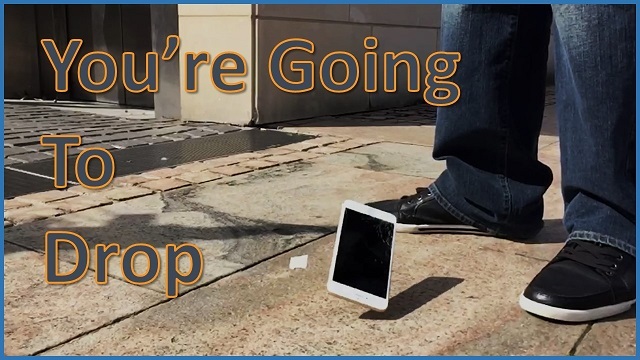 You’re going to drop. All jugglers drop. Our instructors at Ringling Bros. and Barnum & Bailey Clown College were world champion jugglers. They dropped—rarely—but they dropped. And these master jugglers taught us that dropping was part of the learning and growing process. Our instructors never chided us for dropping, but encouraged us to try again. Since you know you’re going to drop; how do you prepare for failure and limit its damage? Below are six effective strategies for dealing with drops. Don’t juggle heirlooms. Make sure you don’t risk something irreplaceable. My friends Marty and Betty have a family business. They never risk their family because they know that a family is like a glass ball; once you drop it you can never put it back together. What in your life is too fragile to drop? Don’t juggle what you can’t afford to break. Limit the fall of the ball. Practice juggling over a bed or sofa. This will keep you from chasing your mistakes all over the place. And since you don’t have to chase your mistakes you have more time to practice and improve. Make sure your risks have a safety net so that when you drop you can quickly gather up the pieces and try again. Keep juggling! Because you dropped doesn’t mean you can’t juggle. Keep juggling and you’ll get the hang of it. Then juggle more so you’ll become proficient and can learn more tricks. When you consistently drop the same trick—seek help. Never in human history have we had more ways of getting help. The internet, seminars, coaches, bosses, colleagues and strangers are all eager and able to help. Asking for help demonstrates your humility and eagerness to learn. A learning partner might see a way to improve your technique or offer you a different stance that makes the trick easier. This trick might not be your trick. Sometimes we’re trying to learn a trick that won’t be our trick. I never mastered the art of juggling while on a ladder. That doesn’t mean I can’t juggle. I can. I just won’t juggle while on a freestanding ladder. If you simply can’t get the hang of one trick, move onto another. You may find you’re happier in another job, career or relationship. Restart with a flourish! Learn to restart your juggle by rolling the ball atop your foot and kick it into your hands. Turn your drop into part of your act. Since you’re going to fail; do it in such a way that others will witness and celebrate your recovery. Please write me and let me know how you juggle life and leadership.